Data centers are some of the most notorious energy-guzzlers around, which is why it’s so exciting when companies like Google reveal innovative designs to cut down on data center power use. It’s also why its so disappointing to learn that the company behind the number two most popular Web destination, Facebook, powering its first custom data center with coal. The reason, of course, is cost. 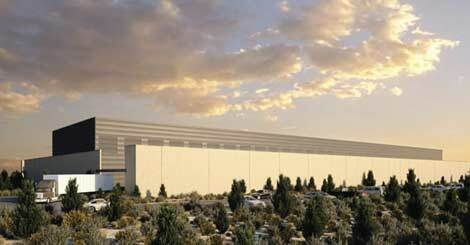 It’s ultra-cheap for Facebook to rely on coal power at the new Pineville, Oregon data center. But both Microsoft and Google also have data centers in Oregon and rely on cheap (and relatively clean) hydro power. Why can’t Facebook doing the same? Company spokesperson Lee Weinstein claims that Facebook’s data center will get its power from Pacificorp, which uses, hydro, geothermal, wind and coal power. The facility will also be certified LEED Gold. But Weinstein makes no mention of the percentage of coal power to be used. And according to Pacificorp’s Web site, over 83% of the utility’s generation capabilities come from coal, geothermal, and natural gas resources. That means Facebook probably won’t be getting much of its power from wind or hydroelectric sources. Instead of standing idly by while Facebook spews CO2 into the atmosphere, we suggest doing what every good social media-savvy citizen does when confronted with a problem: sign a Facebook petition. So far, the “Tell Facebook to use clean energy for its data center” petition only has 183 members–not even close to enough to get Facebook to pay attention. But maybe, just maybe, this thing can go viral and Facebook will consider listening to its users.